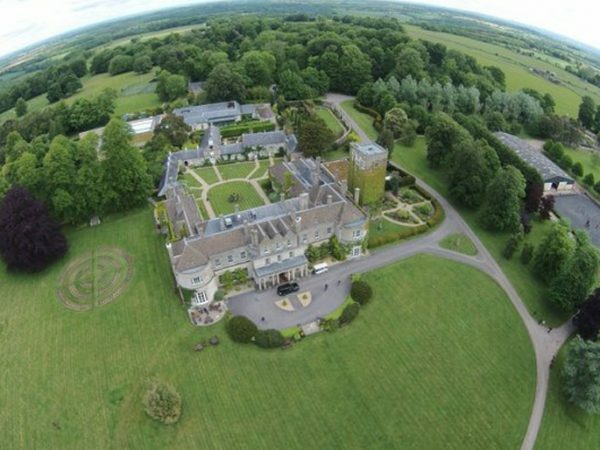 After a blissful night sleep in our grand suite, we woke refreshed and ready for another fun filled day in the country, care of Lucknam Park. We took breakfast in our suite, in our dining nook overlooking the grounds that we were to explore on horseback. After lashings of hot coffee and sumptuous breakfast pastries, we made our way to the Equestrian Centre sporting our fetching jodhpurs and polished riding boots. Greeted by Nikki, we were taken to the tack room to choose our helmets before being introduced to our horses – Colin for Rachel and I had the mysteriously named DJ (no one seemed to know where this name had come from!). Once mounted and tack checked, we were off with Dawn, our instructor for the day, into the grounds of Lucknam and beyond. 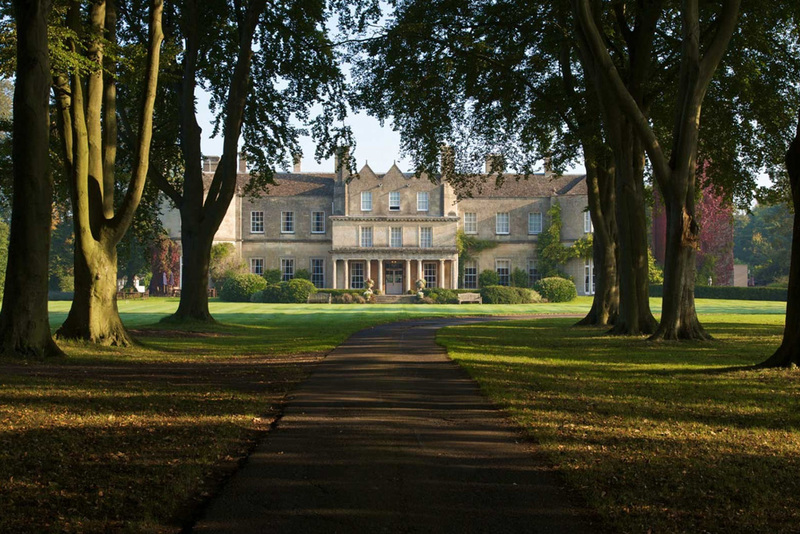 Horses add their own style to a country house setting, echoes of bygone days on a ride across the estate. 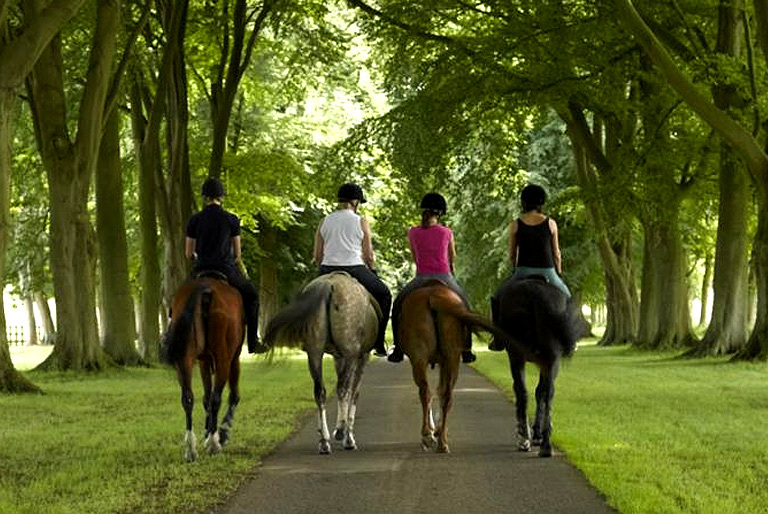 The Equestrian Centre at Lucknam Park affords everyone the opportunity to enjoy the thrill of horse riding. With 35 horses of all sizes and capabilities, complete beginners, both adults and children, are catered for as well as the more proficient riders wishing to improve their skills in jumping, dressage. 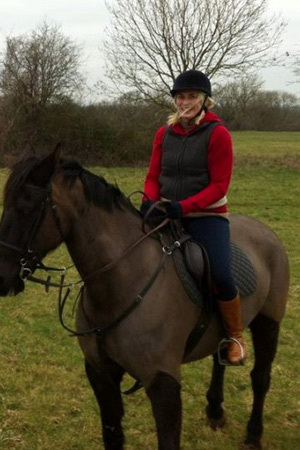 The Centre also run hacks through Cotswold villages and offer riders a cross-country course, created by Badminton course builders, the Willis Brothers. We were to take the country path through the woods and past the paddocks where the ponies and horses graze while not on duty. 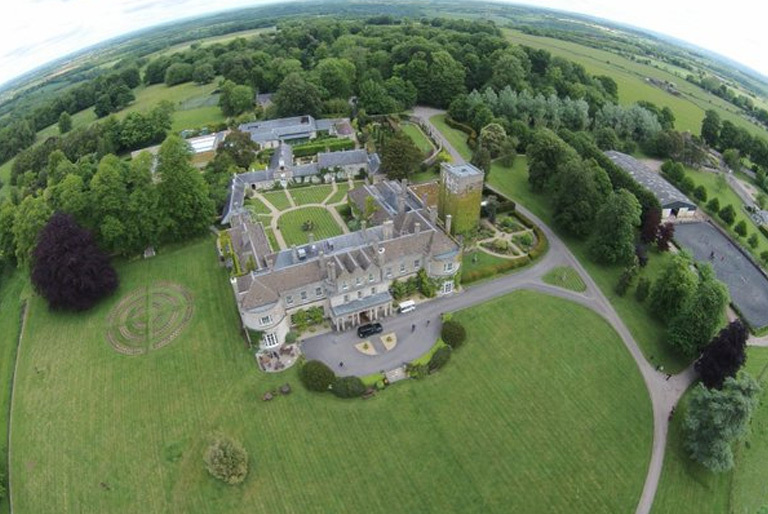 A very experienced and qualified team manages Lucknam Park Equestrian Centre and they also offer livery facilities that ensure your horse is looked after to the highest standards. 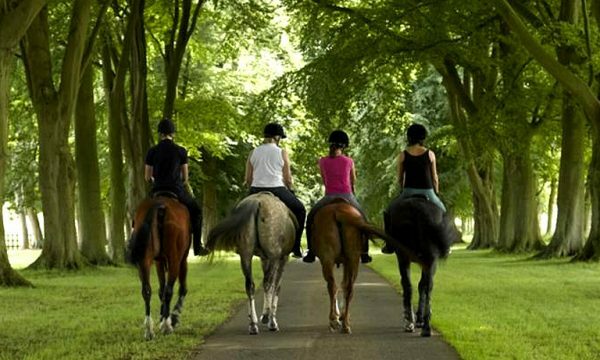 After a warm up for both us and the horses, we were soon cantering across the parkland, jumping over fallen trees and thoroughly enjoying the feeling of wind on our faces and the feeling of oneness with nature. We took the bridal paths in to the woods – being someone who does not get the chance to ride as much as I would like to, especially living in the city, it was exciting to get the opportunity to go cross country and through sharp turns and steep inclines as it really allows one to exercise one’s riding skills. After riding through the local villages and negotiating a car or two, we made our way back to the centre – but not before a soul shaking, truly electrifying gallop across the parkland. At this point, one wants to scream, raising ones hand up to the sky Breakfast Club-style, through the sheer pleasure of racing across a field. 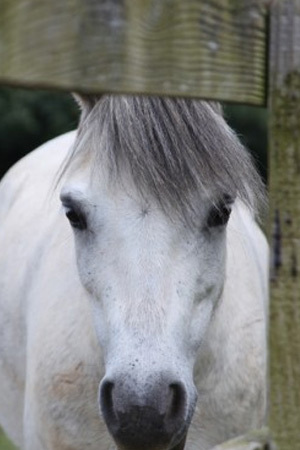 Once back at the stables and dismounted from our steeds, I realised how much I miss riding. Having done it every weekend as a child and in to my early adulthood I was missing out. Living in central London comes with certain benefits but the feeling of freedom one finds in hacking through the countryside without a care in the world is not one of them. Riding at Lucknam made me realise that I needed to make more time for the little things and especially getting back on that horse!